Reading and writing are central to the school day! The vast majority of our written work links to topic work, teachers creating meaningful reasons, motivations and audiences for writing. Each piece of written work is careful scaffolded through using ‘success criteria’ to guide a child and then marked by highlighting real successes (‘yellow for sunshine’) and an area for improvement (‘green for growth’). Alongside creative writing, children learn, as appropriate, aspects of spelling and grammar. All children read daily in school from 1.30-2pm. During this time there will be children reading silently, nose in a book,;guided reading groups; children reading ebooks on ipads; one to one reading with an adult and related group tasks. We place a great emphasis on high quality literature for children, and staff pride themselves in keeping up with new titles hosting book groups for other schools. We spend hundreds of pounds each year on new titles. A very important part of Eleanor Palmer is ending each day with a class story, a carefully chosen, often topic related novel read aloud by the classteacher. Our approach is fully described in the policy below. The end of year expecations for each year group in English. Mathematics is taught every day too. Children at Eleanor Palmer love maths! We place great emphasis on learning through games, problems and practical tasks coupled with an uncompromising goal of learning and memorising key facts such as times tables as soon as possible and using high quality concrete resources in the early years. Together this approach creates real mathematicians and we have a national reputation for our approach, running courses and welcoming visiting teachers. Our approach is fully described in the policy below. Maths is a central core aspect of the curriculum. This policy describes our particular approach, for example, how we group children and how we mark work and our emphasis on reasoning, problem solving and developing fluency. The end of year expectations for each year group in mathematics. Science may be central to a topic or sit discreetly outside. Children cover a range of early physics (e.g. forces) chemistry (e.g reversible and irreversible change) and biology (e.g. growing plants) topics through practical work, observation and problem solving. We place great emphasis on raising questions, practical work and discussion to develop skills of scientific enquiry. We want our children to grow up with the skills to use this technology safely and discerningly; to have the life skills that enable them to use it confidently but appropriately. We believe that if we teach our children these skills through a range of relevant, topic based tasks they will become competent and discerning users of IT. We place emphasis on the teaching of coding (also known as programming) as it is a large part of the computing curriculum. We want even our youngest children to enjoy problem solving; to be confident to have a go, embrace when they have made a mistake and then have a go at correcting it. Using programmes such as Scratch, 2DIY, Flowol and A.L.E.X gives our children the forum to do this. The Internet is an amazing source of information which enhances learning in many ways. Being ‘e-safe’ means teaching our children what to do when online and faced with strangers asking for details when gaming, if they see inappropriate images or if they experience cyberbullying. We use materials by Kidsmart, Thinkuknow and CBBC Stay Safe to teach our children to be digitally aware. We have a suite of 45 laptops available for the children as well as 30 iPads which ensure computing is taught in a rich variety of ways! We have a long established links with the Camden City Learning Centre. All classes visit two or three times a year to participate in working with new technology, new programmes or with hardware we are unable to offer, for example building and programming smart robots using Lego Mindstorms. History and geography are central to the curriculum at Eleanor Palmer as they are the focus of many of our termly topics when children are immersed in each of these subjects and come away with a secure knowledge base. We want children to know about the history of this country and the wider world and how events have influenced and still influence the world today. Through our topic based approach children learn about continuity, change, cause and consequence in history and apply this learning through posing questions, writing accurate accounts and narratives. Most written work comes from our humanities teaching. We approach history, like all subjects, with a critical mind, encouraging children to contrast and compare different accounts, identifying why there might be different interpretations of events. When the topic focus is geography, children develop awareness of where they live and how it is similar and different to the world beyond. We want our children to know key facts about this country and beyond and encourage them to learn the names of oceans, rivers, capital cities etc. Children spend a term each year finding out about a place (London, the Caribbean, the Amazon basin…) – its physical and human geography, culture, traditions and what it’s like to live there. Our many trips and school journeys incorporate geographical skills such as map work, looking at aerial photos and making comparative studies. Our aim is that all pupils understand the nature of religion and acquire an understanding of the beliefs, practices and strengths of all faiths, particularly those represented in our school. Each year the children study one world religion in depth as well as working on aspects of social and moral education, and work around Rights. We have assemblies every day, sometimes as a whole school, sometimes as a ‘Key Stage’, and once a week as a class. This is a chance to come together as a school community, to learn about different faiths and festivals, to reflect on important ideas or to celebrate achievements. As a school we have a ‘determination’ which, to reflect our multicultural community, means that we are exempt from the national requirement to hold a daily act of Christian Collective Worship. Nonetheless, we cover all major events in the Christian year in our assemblies, as well as key celebrations for other faiths. We emphasize the aims and values of our school and seek to promote children’s spiritual, moral, social and cultural development. As part of our wider commitment to the arts we ensure all children at Eleanor Palmer receive an introduction to music and music making at an age when children accept it openly and without preconception; our curriculum gives children the confidence to know that they can be part of making and enjoying music. From Nursery, pupils gain a secure grounding in musical technique and in the Juniors gain familiarity with more complex stringed instruments – ukulele, violin and cello – which they can later build on. Laura McWilliam, our part-time music lead, leads whole school singing and creative music lessons for each class. Music is at the heart of much many school shows and events and Laura composes unique songs to enhance each performance. We also join with other Camden Schools for borough wide music events (such as the bi-annual Royal Albert Hall) , sing carols at a local old people’s home and attend music technology at the local City Learning Centre. In addition to this general musicality, Laura leads on the teaching of strings supported by peripatetic teachers. We are very proud of our special Strings Programme, described by OfSTED as ‘unique and exceptional’. All pupils from Year 3 are given free tuition by specialists in the violin or cello, weekly as a group, and as a whole class once a term. All costs are met by the school which makes it possible for all the children to have access to this tuition that is often reserved for the privileged or for those judged to have a musical talent. We believe that through participating in PSHE & Citizenship, our children will grow to become adults who make sensible choices when faced with issues that are part of growing up. 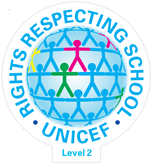 As a Rights Respecting School our approach gives our children an understanding of children’s rights and responsibilities and provides opportunities to develop life skills in a safe, nurturing environment. All classes from Year 3 upwards learn French. It is taught by the classteacher so that it can be fully integrated into class life, for example, linking to topics or answering the register using new conversation learnt. Staff use a range of resources both from the web and from published schemes. Eleanor Palmer is proud to be an active school that provides an inclusive P.E. curriculum as well as a range of extra-curricular activities. We offer a wide (and changing) range of sports for the children to participate in, which help children to understand the importance of an active lifestyle (and associated health benefits) and increase their overall participation in borough wide events. Children develop a range of physical skills as well as learn traditional team sports such as basketball and dodge-ball. We use our ring-fenced government sports grant to support the delivery and provision of P.E. and sport. The grant partially funds the work of our specialist sports coach, Martin Lovejoy, who teachers P.E. to all classes from Nursery and mentors identified individuals and smaller groups of children to involve them in extra fitness sessions to build up their confidence and levels of activity. Our coach also ensures we network and exploit opportunities beyond the school, for example, utilising the excellent facilities at the nearby Talacre Sports Centre by linking with the Camden Sports Coaching NVQ Training Programme. We monitor and track the aerobic fitness levels of our children through regular activities such as the Bleep Test (to assess multi-stage fitness). Almost all of our children (and staff!) walk, cycle or scooter to school each day and we are committed to walking as much as possible – for example, we utilise the great resource of Hampstead Heath for class activities and we no longer use coaches to transport the children to swimming as we walk to the pool and back each week. All children in Year 1-6 participate in a term of swimming lessons each year – 97% of our current year 6 (17-18) can swim at least 25 metres. Within our core principle of inclusivity, Eleanor Palmer children participate in a range of competitive sporting events both within and beyond school. We hold a Sports Day at Parliament Hill running track each July and take part in annual events such as the Camden Swimming Gala, Athletics tournament, Cross Country (involving almost all our Junior children in 2017!) and other inclusive events organized by the borough. We enter a girls and boys team into both the Year 3/4 and Year 5/6 Camden Schools football tournaments and have won the ‘fair-play’ trophy for the last two years. Although we are a small school, we always finish in the top third of events giving our most able children are given a chance to shine.